“My raison d'être is to be a nothing, a feather flying in the wind, a grain of sand heaved up by the sea; but this nothing, this grain of sand, is a messenger of Infinite Love” (Letter of Mother Louise Margaret to Fr. A. Charrier, 27 December 1908). 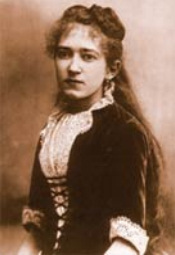 15 March 1868 Birth of Margaret at St. Germain-en-Lay, France, to Ferdinand Claret de la Touch and Marie Louise Cousin. 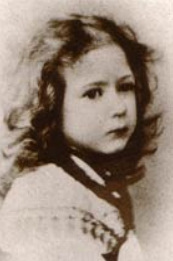 1877 Her mother marries Mr. Alberto Tyrbas de Chamberet, who has an eleven-year old son, Armand. Visitation convent of Romans which is now a museum of footwear. 7 October 1891 Margaret takes the habit. From now on she will be known as Sister Louise Margaret. 17 October 1892 She makes her religious vows. 2 August 1895 She makes a vow of abandonment. 1896 June the 6th Meeting with Fr. 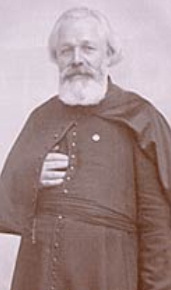 A. Charrier, S.J., who becomes her spiritual director until 1910. 1899 In France, an interior vision of the “little house,” which Sister Louise Margaret would recognize later in Vische, Italy, near Turin, and which would become the House of the First Foundation. 5 June 1902 Jesus entrusts her with a mission for priests. 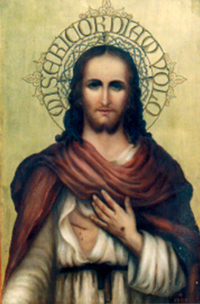 1902 After an interior vision, and at the command of Father Charrier, she paints the “Picture of Jesus the Merciful,” which still hangs in the chapel of the Mother House in Vische. 25 October 1904 – November 1905 Sister Louse Margaret writes her “Autobiography” at the order of her spiritual director. 6 March 1906 As the result of anti-Catholic laws, all the religious congregations in France are expelled. Sister Louise Margaret flees with her community to Revigliasco, Italy, in the diocese of Turin. Mansion belonging to Count Beria d'Argentina and his wife, where the Visitation nuns took refuge after their expulsion (1906-1909). 16 May 1907 Sister Louise Margaret is elected superior. 1909 The community moves from Revigliasco to Mazzè, in the diocese of Ivrea. “La Torretta,” the second residence of the Visitation convent of Romans-Revigliasco (1909-1912). 1910 Mother Louise Margaret is re-elected superior for a second term. 8 May 1913 Mother Louise's term as superior comes to an end. 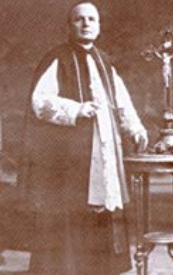 6 August 1913 In obedience to the bishop, Rt. Rev. M. Filipello, now her spiritual director, and to her superior, she leaves the Visitation of Parella to go to Rome. 19 March 1914 Advised by the Congregation for Religious in Rome, she founds a new religious community in Vische (TO), which has as its purpose prayer and self-sacrifice for the Church and the priesthood. The first community in Vische, Mother Louise Margaret is the second from the right. 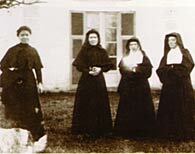 Margaret Reynaud, the future co-foundress, is second from the left. 26 February 1917 At the express wish of Mother Louse Margaret and by decree of Bishop Filipello, the lay people's branch of the Work entitled, “Friends of Bethany of the Sacred Heart,” begins. 31 October 1933 The Tribunal for the Process of Beatification is set up in the chancery office of the Diocese of Ivrea. 8 December 1948 The branch of the Work, called now “Missionaries of Infinite Love,” is born. It is a secular institute for women, bound to the Work by spirituality and mission. 1 December 1973 The Congregation for the Causes of Saints issues a decree of approval of all the writings of the Servant of God, Mother Louise Margaret Claret de la Touche. 26 June 2006 Pope Benedict XVI approves the decree of heroic virtue of the Servant of God, Mother Louise Margaret Claret de la Touche, presented by the Congregation for the Causes of Saints. The urn containing the remains of Venerable Mother Louise Margaret Claret de la Touche, which were moved to the Sanctuary of the Sacred Heart in Vische on 14 May 2007.